Dialog is a window that provides information, some decision or enters additional information to the users. Most of the dialog has a title, message and some decision condition. 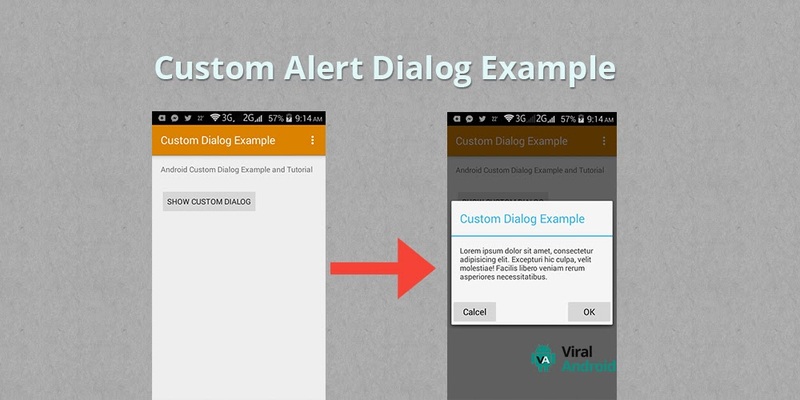 In this article, I will show you how to display/show custom alert dialog in your android application. Add a button to your activity layout file. After adding button to your activity_main.xml file, it looks like this. Now, you have to create a new xml file in your layout directory to show custom dialog in your app. Your custom dialog layout will look like this. Here is modified java code of MainActivity.java file. Now, run your application and click Show Custom Alert Dialog button there is a dialog appeared which like below.